I am back in my hometown on the final leg of a city tour with my colleague Alyssa Rosinski, the IAPP's director of business development, over from the U.S. this week. We spent a couple of days in London, taking stock of U.K. industry’s views on the awareness of the GDPR's impact and its passing into EU law. Clearly, from what we have been hearing from a number of leading industry groups, companies and stakeholders are far from appreciating how the regulation will impact their current business models and practices, as well as their business relationships with customers and supply chains. Barring multinational and larger companies, there is a concern that a significant percentage of the large to medium, as well as the majority of small to medium, indigenous enterprises are a good way off from acknowledging the need for action in this regard. 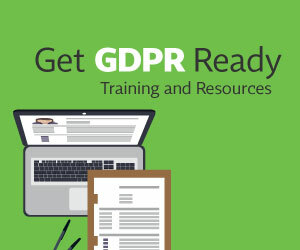 Time is pressing, and the scramble for preparation is becoming more apparent; it’s a battle against the clock with the GDPR’s entry into force less than two years away. I suspect that this is symptomatic of most European countries. Needless to say, the Brexit question is the foremost topic of concern for the U.K. at present, from the board rooms of industry to the citizen on the high street. We are less than 14 days away from the momentous vote. A couple of recent polls showing leads for the Brexit campaigners is causing anxiety in some quarters. The City of London remains the "jewel in the crown," so when HSBC, JPMorgan, and now Citi are all saying departure from the EU would result in potential job losses in the thousands, you need to heed their words. Ironically, some of those jobs would most certainly make their way to financial centers in the EU. Wherever you turn, there is a palpable sense of uncertainty on the streets on London. There seems to be a lack of any clearly defined alternatives to the U.K.’s current EU membership, nor a straightforward presentation of verifiable facts — economic or other. You might ask yourself what exactly one is expected to vote for. The Tories have a lot to answer for. It is a hard ask to predict with a high degree of certainty what impact Brexit would have on the British economy; it is a far easier task to identify what EU membership has brought the U.K. over the last four decades. I think it is fair to say that most economists agree that the benefits have outweighed the cons, with GDP being appreciably higher than had the U.K. not become a member; taking account of a number of arguments. I read in the Financial Times recently that, in comparison with other large EU economies, U.K. GDP per person has risen faster than Italy, France or Germany since joining in 1973, making it one of Europe’s best-performing economies. So the EU factor can’t be all bad; the lion share of U.K. trade being with its EU partners. How would the U.K. economy perform outside the EU? There is far more uncertainty on that question. In my opinion — and others of course — to unravel four decades of EU infrastructure and trading relationships is taking a huge leap into the unknown. The outcome of a Brexit would literally mean renegotiating global trading terms while U.K. business would undoubtedly be faced with market challenges affecting their ability to grow their business in the EU and beyond. This referendum will be a defining and historical decision for the U.K. for generations to come. That is very much a certainty.